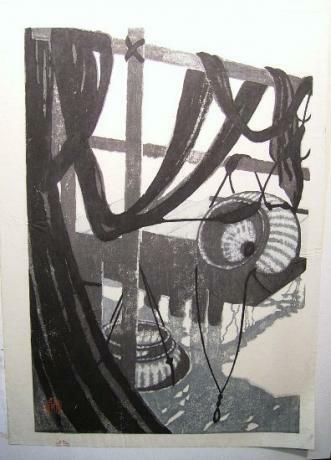 Description: Japanese 20th Century black and white woodblock print. 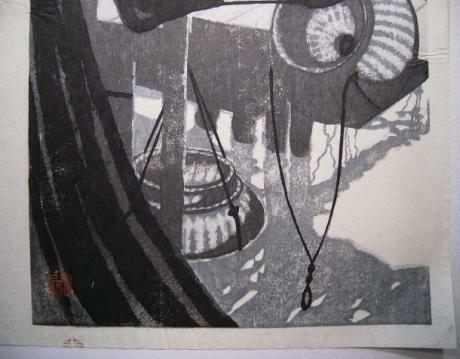 Beautiful print of fishing baskets hanging above the deck, with relection from water below. 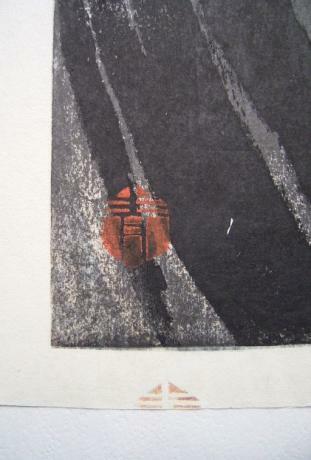 There is the artist's stamp in the lower left hand corner and there is also a stamp in the back lower left hand corner. The print has been laid down on a thin board. 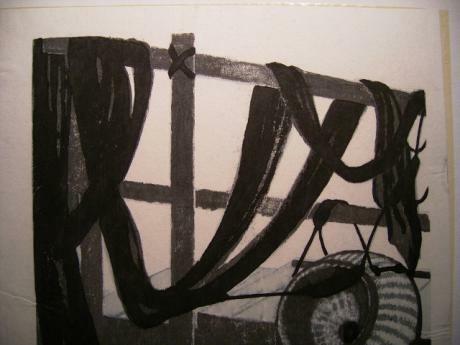 The print measures 12 1/4" wide by 16 3/4" tall.